Interviewing Sports Techie business owners is a real treat and talking with Khary was no exception. I enjoyed learning about his passion for technology and how he combining it with his varied interests in sports. His specialty is Mobile UX & Product Design. He is also a 2012 Google Scholar Award Recipient. Each Sportsfans listing provides ratings, photos and directions, giving users the option to search for a local pick up basketball, soccer or golf match to play in. This innovative new iPhone Sports/Games app has social events for any age group, thousands of open sports leagues, and niche fitness happenings, in over 30 different sports or activities to select from. Each listing provides ratings, photos and directions. Users have the option to search for a local pick up basketball, soccer or golf match to play in. Finding pro sports team’s tailgate and sports bar listings is another way to use this friendly tool. A key app feature is the ability to plant a team flag. 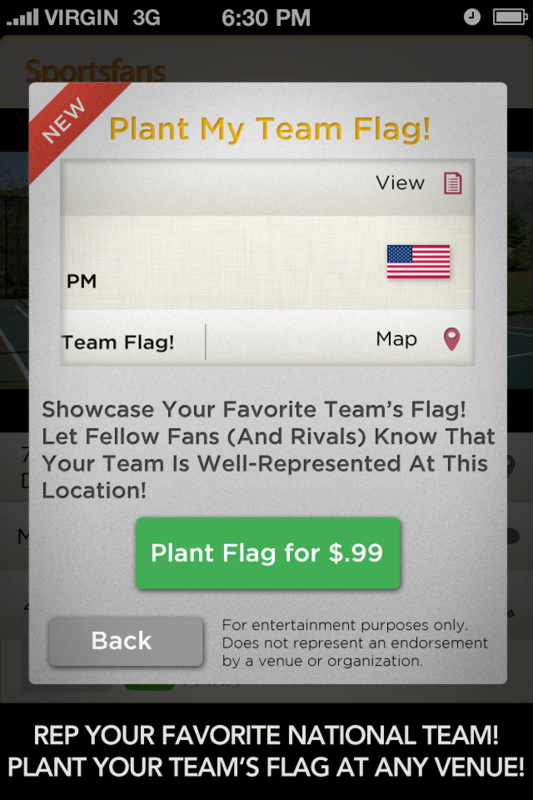 Raising a team flags using your Foursquare account is fun and has become a source of national and team pride. Be the first Sports Techie community member to plant a Brazilian, Italian or French national team flag in your favorite sports bar using Sportsfans. The app has an easy download process on iTunes. After it’s done, you open up the app and have three options: Select a City, Choose a Sport and Choose an Interest. Next, click on, Find Sportsfans! And that is it. When I searched for sports bars near me in Seattle it pulled up the Ballard Loft which is one mile away and a known Washington State Cougar bar hangout. The Foursquare database is full of venues, ratings, business recognition and photos, all factored into what information comes up on your Sportsfans screen. Khary programmed the app to operate like Meetup by using groups and common location. With the Sportsfans app you can locate the nearest tennis court, dance studios or sports facilities via Foursquare ratings. There is not a whole lot of competition in the space. What is available is usually focused on sports bars, ratings and phone numbers that are outdated and full of 1 star reviews. I asked Khary how he came up with the price of $.99. He felt that was a, “Good price point for unique content.” The app is available for iOS, next up is Android. I encouraged him to look into a Windows Phone program and he said others have said the same thing. Sportsfans was created by a team of software developers. They are not funded, nor is he looking for investment money at this moment. Mobile Media is beginning to target fitness clubs because they are a good customer fit. They are experiencing good traction from downloads in Europe because of their passion for soccer. Zumba has good participation levels with the female audience. This time of the year you might want to search for a baseball, softball or running event. The option to search demographics you want as a Sportsfans user is part of a new sportsbiz model. I recommended looking at alumni and work associations. Most alum like staying in touch with each other and attend sports activities together. Since most people do not work at a company for 25 years anymore, employees might have ESPN, CBS, Fox, and NBC Sports, plus years of local sports writing experience on their resume, over just a ten year period. These potential Sportsfans users may want to know where the next Microsoft or Amazon happy hour or kickball game is. Sports Techie, With Spring time in the air, maybe you are feeling the want to get back outdoors and start a new activity or sport. Perhaps because of March Madness you are in need of sports bar information. 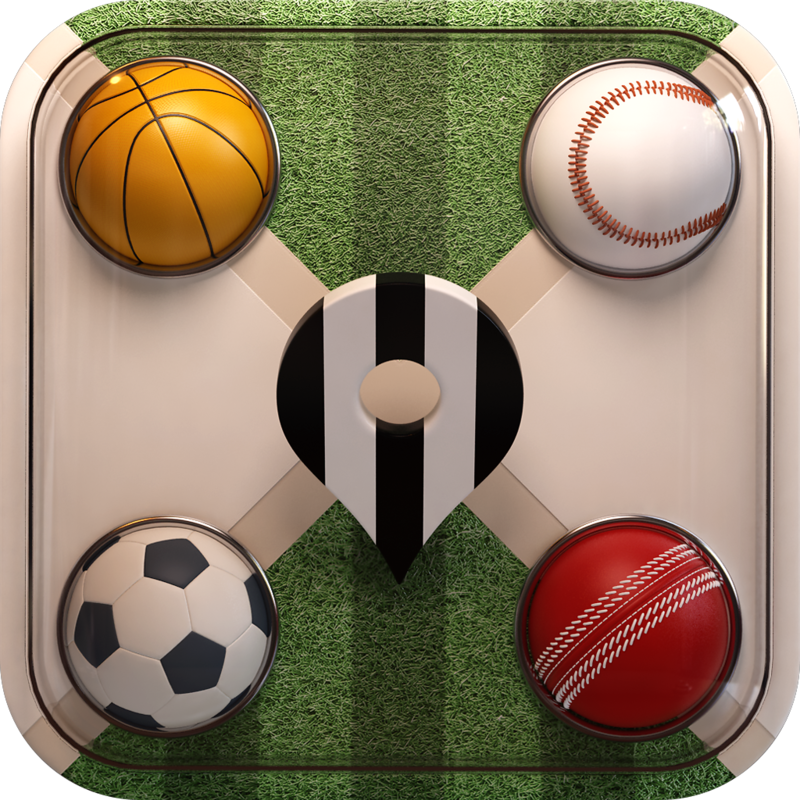 If this appeals to you, give Sportsfans app a try as part of your routine. I asked Khary whether this was a check in app. He said it was, “Similar, the goal is providing an engaging user experience.” He explained that, “Yelp is in iOS.” The use of location based apps is exploding. What Mobile Media has done is morphed that idea into a social app. Khary is a gentleman and a scholar, thank you for sharing your sports tech startup story.